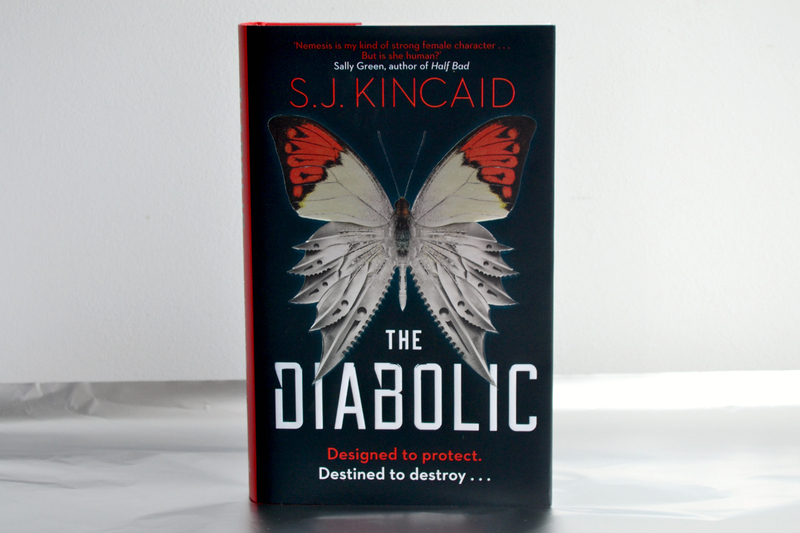 I heard a lot about The Diabolic when I was at YALC. Pins with the butterfly on them were being handed out left and right, and who can blame them? The cover of this book is amazing. So I was intrigued when the opportunity for a review copy came up, and I jumped on it. The book ended up reflecting the cover pretty well though; half one thing, half the other and not quite either. The concept of Diabolics was awesome. I'm a big fan of genetic engineering stories and the idea of these humanoid people who only bond with the one person they're supposed to protect... Interesting! I wanted to know more; the history, the pricing, the way they're made, everything. Unfortunately because the world needed explaining too, with new hierarchies and religion and being out in the galaxy, there just wasn't the time to get the detail in. Set in a Sci-fi universe, trying to work with a medieval political system, it's too far from our contemporary world to not need more detail. With this book, the story and action was everything. Which sounds like most books, but The Diabolic was the novel equivalent of those Transporter movies. There's backstory, but it's to move the action along rather than add any kind of commentary. I'm not saying that's a bad thing. We all need these kinds of books in our bookish diet. Like chocolate. But if I read nothing but them, I'd stop reading. Lastly, the romance. Eesh. There was a short minute where I thought the author was going to do some badass ladies loving ladies but my hope was cut short like 90% of the characters lives. The endgame is predictable, although I do like a slow-burn. The problem in the end was the length. You're looking at 400 pages, but double spaced and with margins the size of Texas, there wasn't enough time to delve deep. On the other hand, if you want fast action and slow-burn romance and maybe you're just looking to get through a fun story; this might be for you! "Did I injure you in the least?" "My knuckles ache from punching you." If you're interested in The Diabolic, you can get it here! What do you think? Does The Diabolic appeal?